The autumn leaf season in the Smoky Mountains usually lasts for several weeks as the fall colors travel down the sides of the mountain from high elevation to low. The timing of the fall color changes are dependent upon many variables so it is nearly impossible to predict the exact dates of the peak season. The elevation is a primary factor that determines when the leaves change color in the Smokies, and color displays in higher elevations can start as early as mid-September. From early to mid-October, fall colors begin to develop above 4,000 feet and mid/lower elevations reach peak between mid-October and early November. This is the most spectacular time to visit the region as the display includes colorful trees such as scarlet oak, sugar maple, red maple and the hickories. The fall colors can be viewed from virtually anywhere in the Smokies, but some of the best views can be seen within Great Smoky Mountains National Park! Enjoy a pleasant drive or hike through the park to experience the wonderful scenery. The fall season is incredibly popular in the park and some areas, such as Cades Cove and Newfound Gap Road, can experience heavy traffic. As an alternative, the park recommends several autumn drives and hikes where you can enjoy the fall leaf colors in areas of the park that are less crowded. Another great way to view the gorgeous fall foliage is from a bird’s eye perspective! There are several attractions in Gatlinburg that allow you to view the colors from such heights, including the Gatlinburg Space Needle, Gatlinburg Sky Lift and the Aerial Tramway at Ober Gatlinburg. 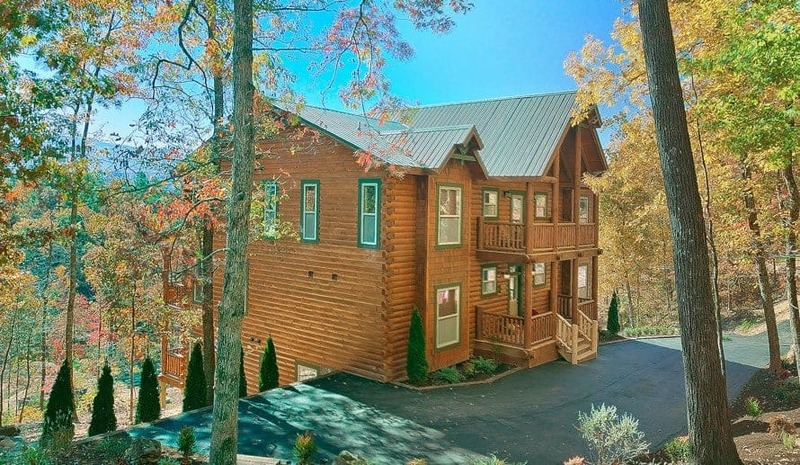 If you want to experience the fall colors in the Smoky Mountains from your own private deck, check out the amazing cabins from Large Cabin Rentals! 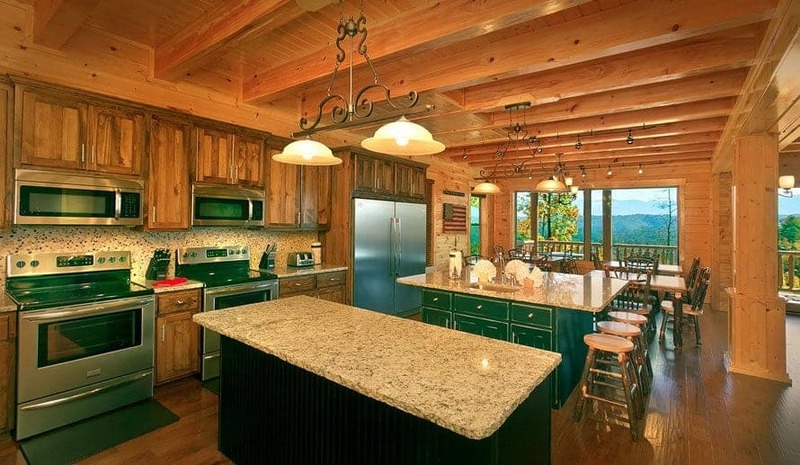 Our amazing cabins feature everything your group needs for a fantastic vacation to the Smokies, including comfortable bedrooms, incredible amenities and gorgeous views of the mountains. We have cabins that range from 4 bedrooms to 18 bedrooms so we can easily accommodate families and groups of all sizes. Whether you are planning a family reunion, corporate retreat, wedding or other special event, we are sure to have a cabin that is perfect for you! Take a look at all of our Pigeon Forge and Gatlinburg cabins today to plan your trip to view the magnificent fall colors in the Smoky Mountains! We look forward to seeing you soon at Large Cabin Rentals!